Coverage: Live on BBC Radio 5 live, Radio Wales and Radio Cymru, the BBC Sport website and BBC Sport app, plus live text commentary. Wales will face a full-strength Denmark in the Nations League after the Danish FA and their top players agreed to talks over a commercial rights dispute. The row meant Ryan Giggs' side had been facing the prospect of playing a team that included futsal players. But Denmark have now named the first-choice squad originally selected. Danish FA president Jesper Moller said: "We can play the important Nations League match with the right national team and again focus on the sport." Director Mads Oland added: "The agreement is a step in the right direction, and the national team players are happy that they can now focus on the match against Wales on Sunday." The dispute had meant the country's top players - including Tottenham's Christian Eriksen and Leicester's Kasper Schmeichel - were unavailable for the national side. Manager Age Hareide will resume his role following John Jensen's caretaker role for Wednesday's friendly against Slovakia. 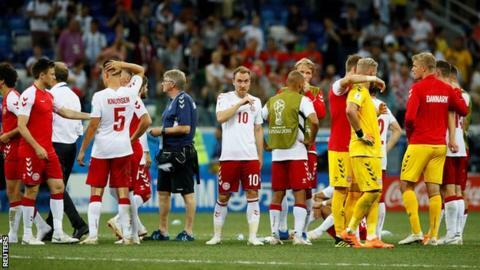 'The best defeat of my career' - what's happening with Denmark? A total of five players from the 24 called up were in Denmark's national futsal squad for their last match against Greenland in May. The Denmark women's team boycotted a World Cup qualifier against Sweden in October 2017 in a dispute over employment conditions.